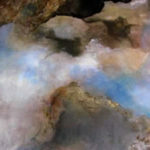 Award winning abstract artist/ photographer Pam Brekas has made Nevada her home since 2005 after retiring from teaching high school in California for 35 years. 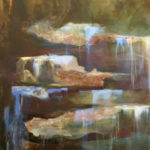 Active in the arts community, she shows her work in Brewery Arts Center Gallery, Artsy Fartsy Gallery, East Fork Gallery in Gardnerville, and Markleeville Art Gallery. 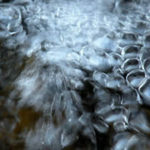 Pam has had solo shows in the western states with her photography and abstract art and has received fellowships and grants from Nevada Arts Council and Sierra Arts, and has garnered over 170 awards and recognitions in the past 10 years. 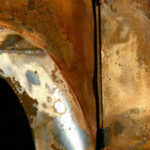 A featured artist on lightspacetime.com in April 2012, her other web presence is through her website www.pambrekas.com. 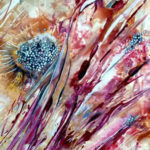 Pam teaches her unusual method of painting using linoleum brayers and kitchen spatulas at her home studio in Gardnerville and at St. Mary’s Art Center in Virginia City, NV in one and two day workshops. She is active in many art and photo groups, as well as being an arts and crafts instructor on cruise ships. Summer finds her on the back of their motorcycle traveling the country taking photos. 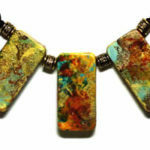 Her work varies from photography, paintings on canvas or paper, cards, domino jewelry, and coloring books. Life is a continual adventure for her, and art is one of the vehicles to get there. Art is a creative game for me. As long as I can remember I was drawing, writing, taking photographs, painting on walls, and just enjoying the freedom of creativity. This enjoyment of the arts has led to a wonderful appreciation of all the arts, and a desire to create work that is one-of-a-kind. The creative force (inner artist) is alive in all of us, but some don’t recognize it or try to box it in. I just want to play, explore, create, teach others to do the same and enjoy the process. The result is always a surprise, usually one I wasn’t expecting, but one I enjoy. My photography is more abstract with close up shots. 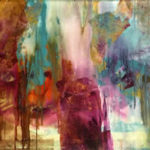 Paintings are abstract layers of glazes and fluid acrylics. When images appear, they show up by chance; I don’t try to force them. When I create in the NOW, the experience is the important thing. All of life should be lived that way.